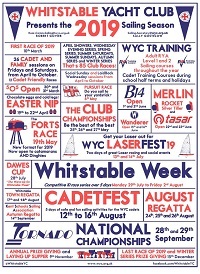 Download Whitstable Yacht Club's rules (updated as agreed at the 2018 AGM). Download WYC's Data Privacy Notice [updated 20th July 2018]. Guidance for safe sailing at Whitstable. Download the General and Sailing Safety Manual (PDF) (WORD) - Updated December 2016. Download Boat Parking and Equipment Storage Policy (updated Sept 2017). Download the WYC sailing instructions. These notes will guide you through race officer duty, from course setting through to the recording of results. If you are in doubt about any aspect of running the race, don?t hesitate to ask another sailor or club officer for help. 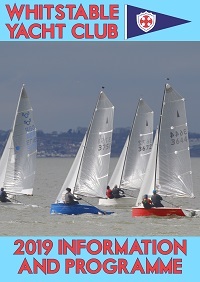 Prior to your duty, please familiarise yourself with the sailing instructions published on page 20 and in the WYC programme.